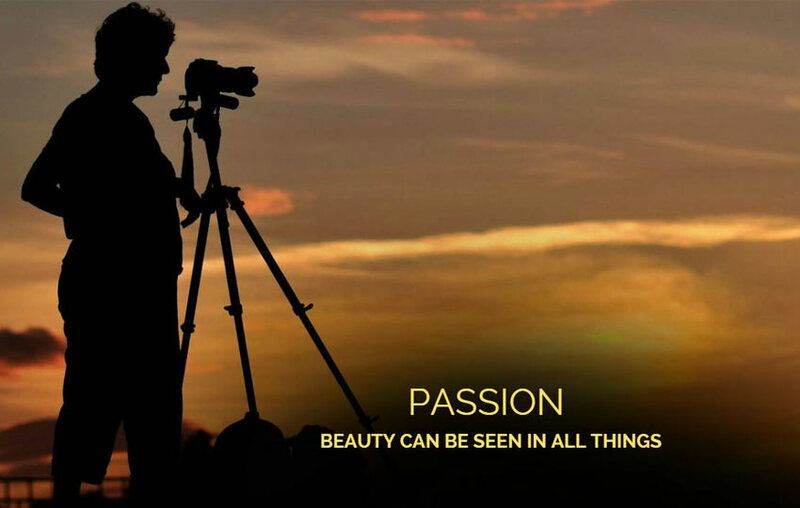 Get set to showcase your photography skills to the world. 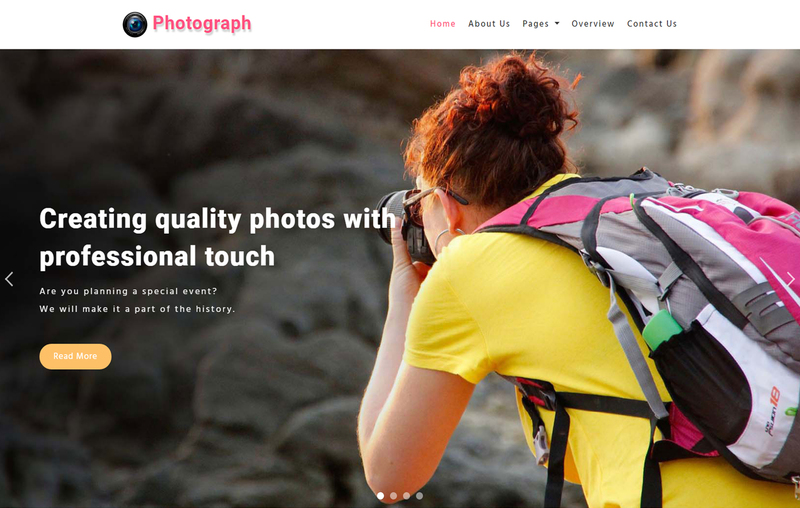 Today here we come up with some outstanding photography website templates collection. 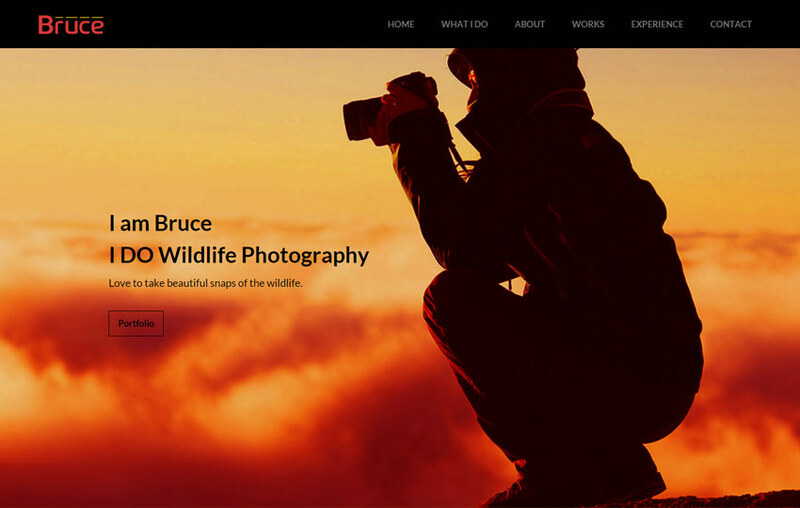 There is a perfect solution to build your online photography website. 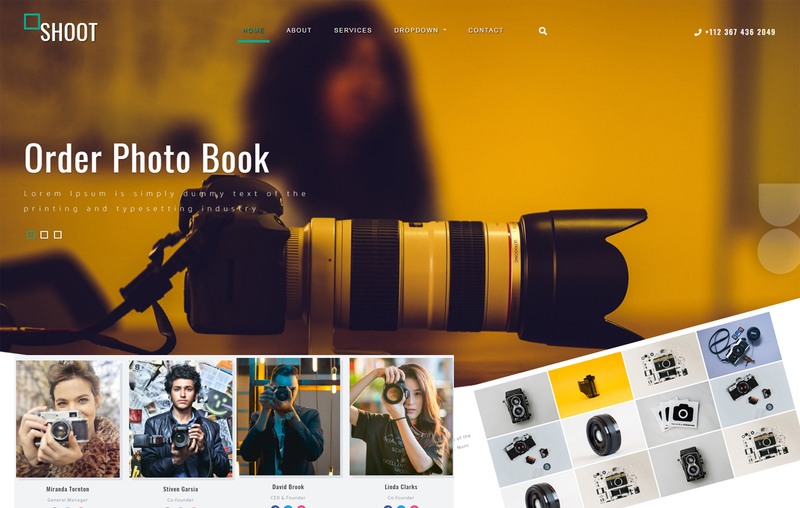 which helps to build your photography community. This profession is a very interesting and exploring job. 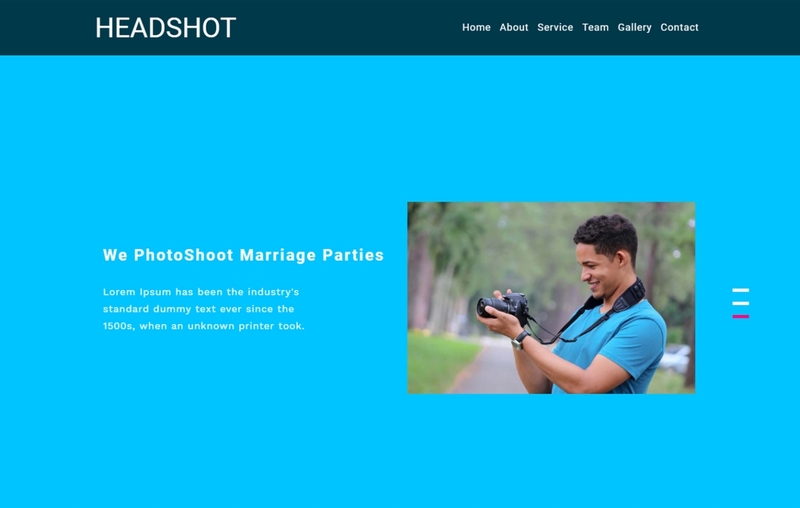 So the photography website helps to store your photos in a gallery format within a quick time. 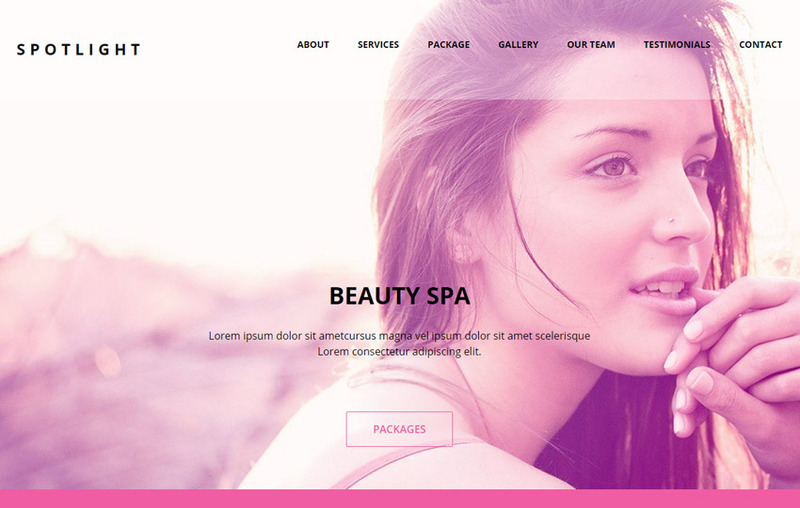 All our templates are built on the latest version of the Bootstrap framework, HTML5, and CSS3. 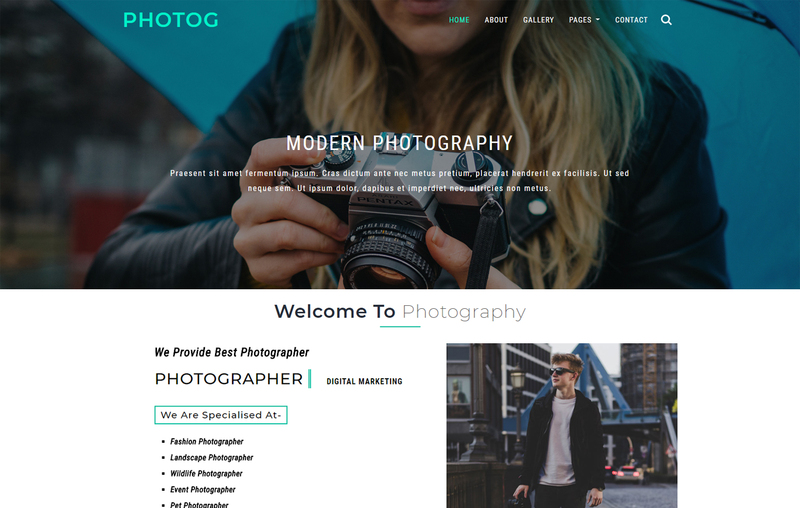 The impressive part of all these photography websites templates professional and user-friendly design. 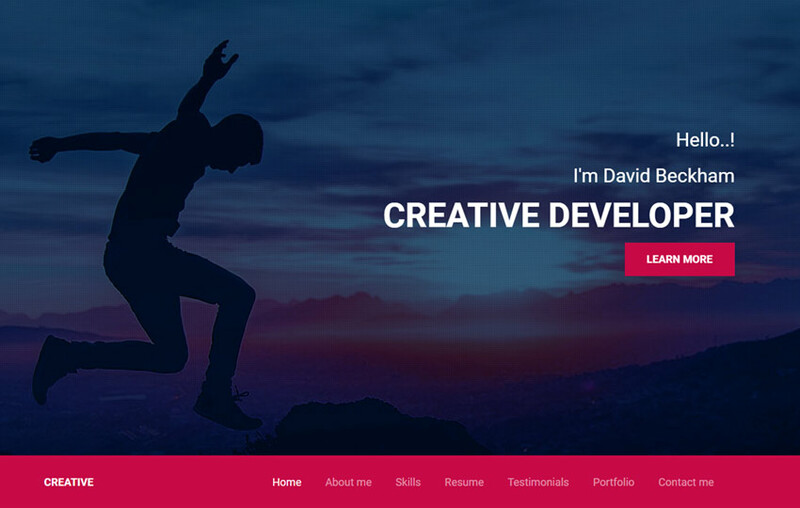 By using these templates for your professional site, this will elevate your skills in a more elegant manner. 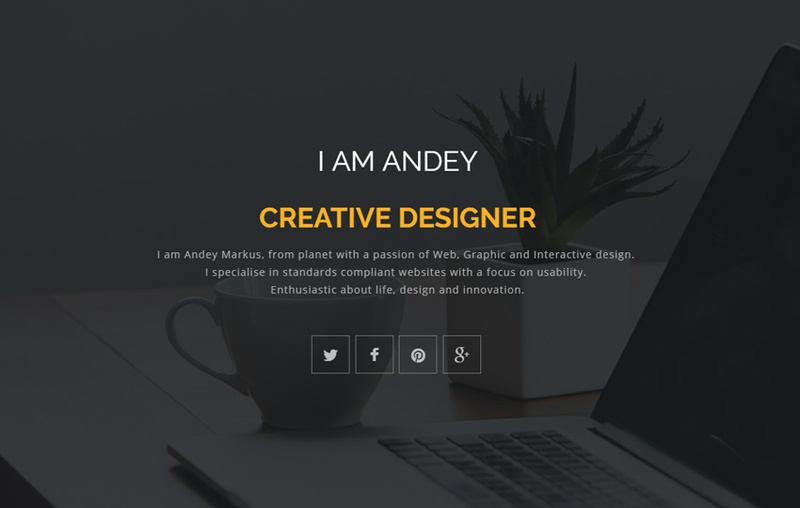 You may wonder there are tons of free website templates in the market. 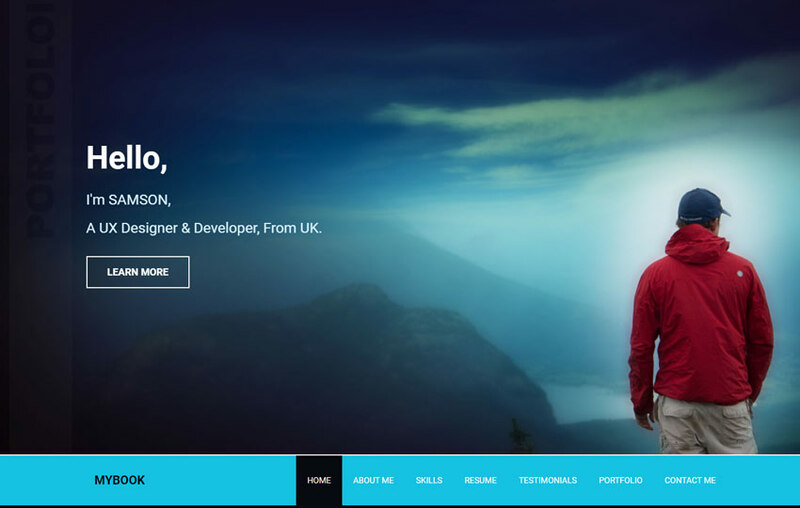 Its simple all our template well crafted and developed by professional UI developer. All these are absolotly free to download and very easy to customize. 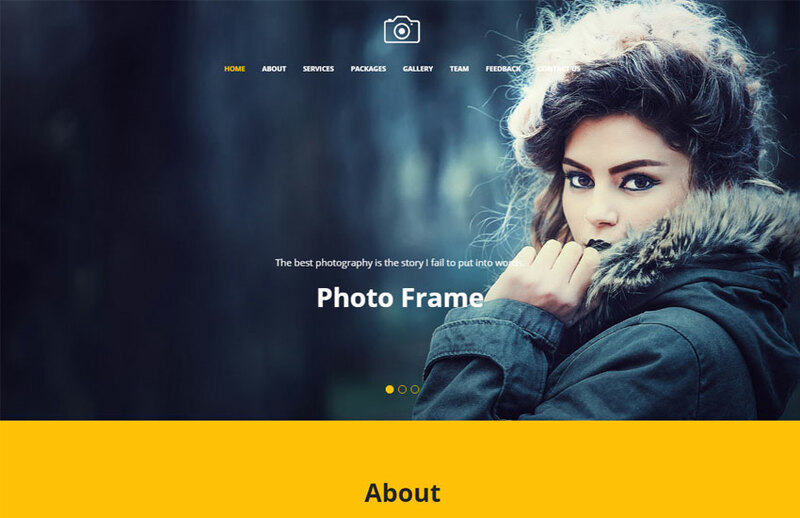 Therefore, here the outstanding features in our templates collection, like photo gallery, filters, banner animation, responsive design, modal popups, sidebar nav and many more. All these amazing features help your professional business to grow a high level. 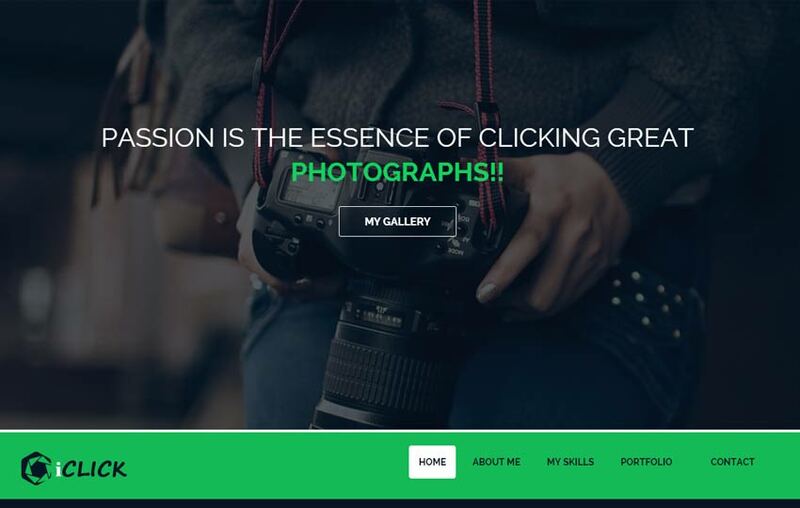 So the online website is the best medium to showcase any type of professional work to the global community. Therefore, we are here to bridge the gap between the global audience and the professionals. 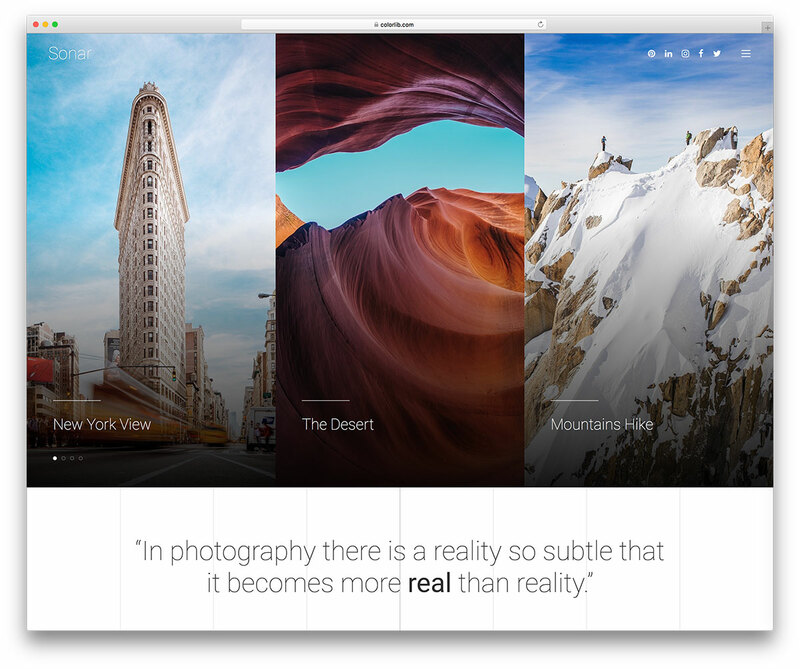 This makes easy to access all your outstanding work. By the way you can increase your business. 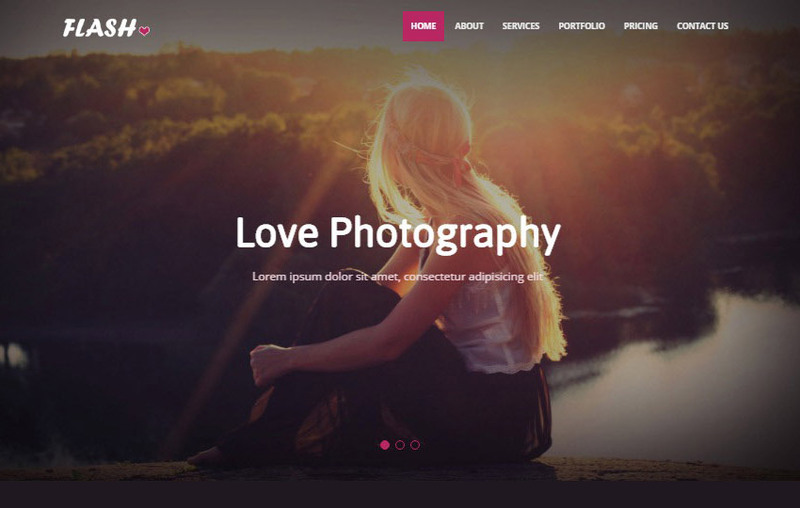 Multipurpose Theme – You can use for any niche. 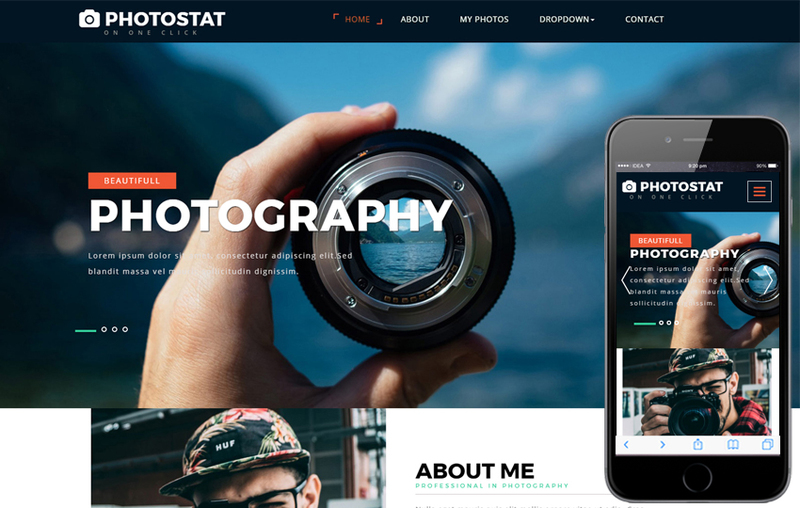 These templates are built on your favorite technologies like Bootstrap 3 & 4, HTML5 and CSS3. 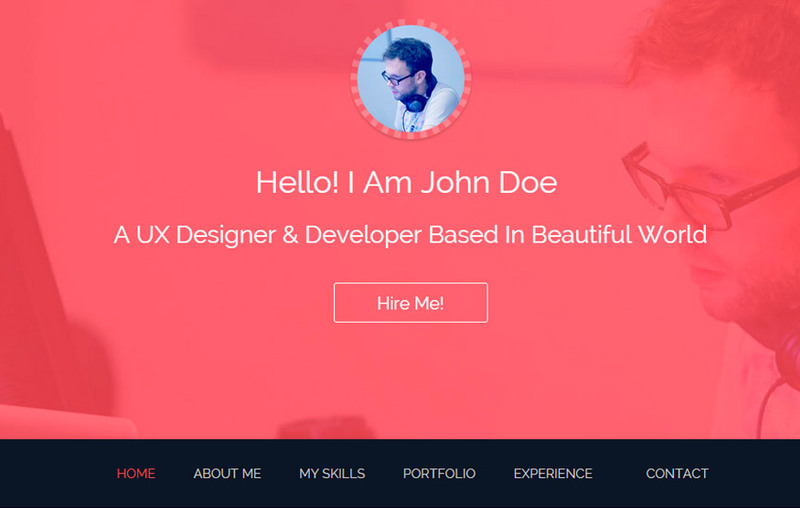 So these websites are designed and developed by the professionals. 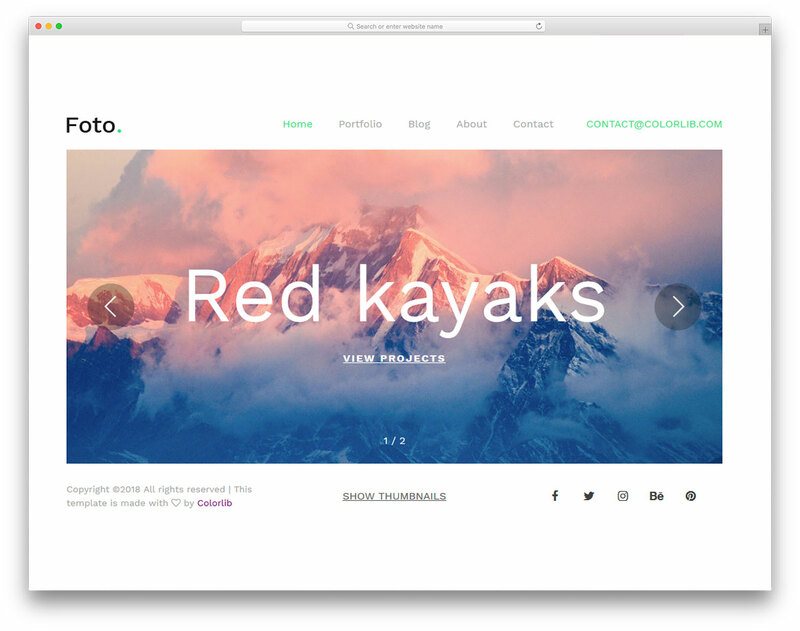 Our template collection has two kinds of layouts like the single page and multi-page templates. 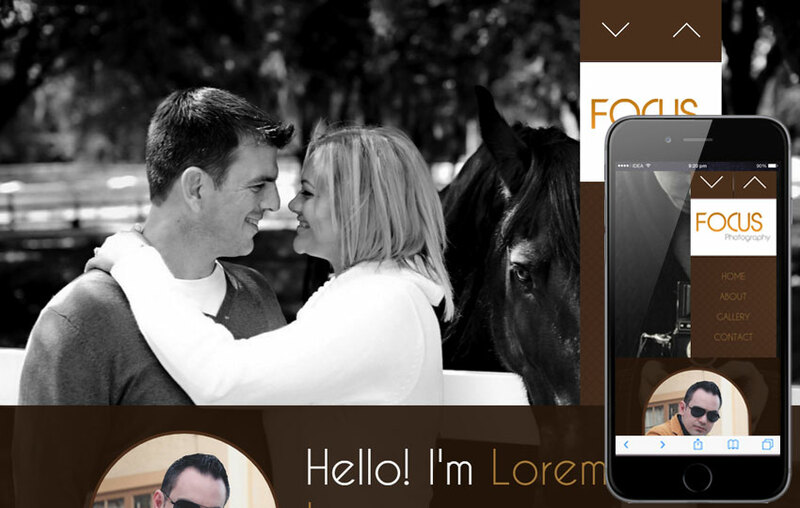 We used Fontawesome for Icons and Google Fonts for cool fonts in our themes to get the more elegant look. 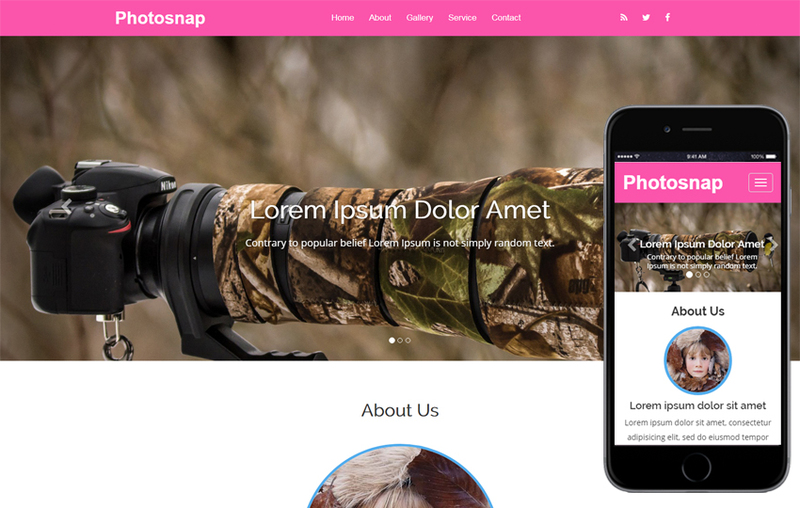 So you may be aware Bootstrap framework is the most popular tool used among the web developers. 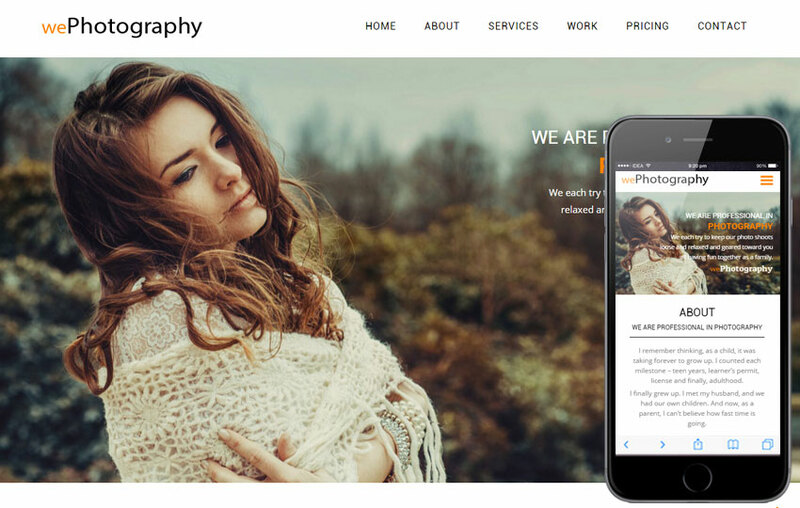 This framework is our first choice while developing a photography website templates. We use the latest standard of the design approach. 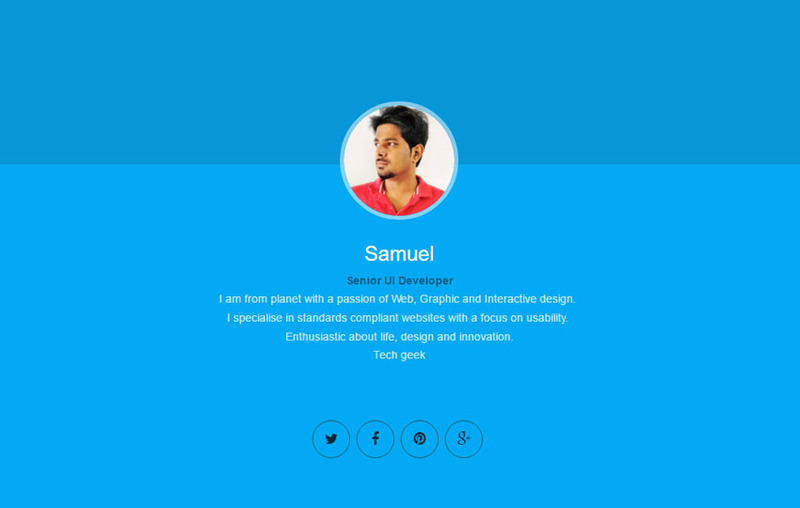 And built on latest Bootstrap framework (version 4), HTML5 and CSS3. 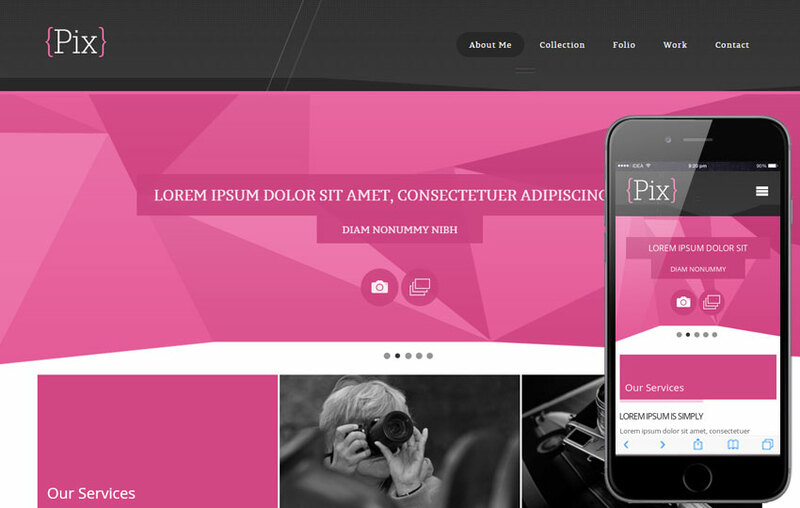 These templates are fully responsive compatible with multi devices. Responsive web design is the best approach to a website that makes web pages render well on a multi-devices and window or screen sizes. 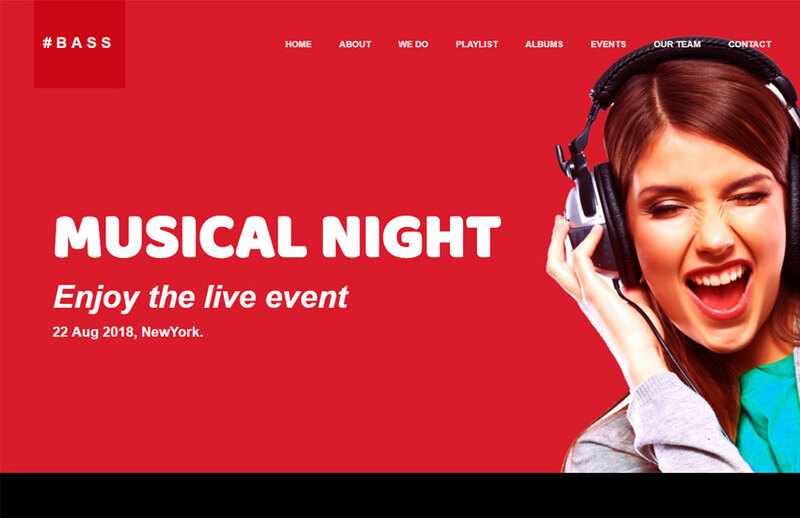 Therefore, most of the website present in world wide web has a responsive design feature. So even the giant Google Search Engin has given a higher priority to responsive design features. 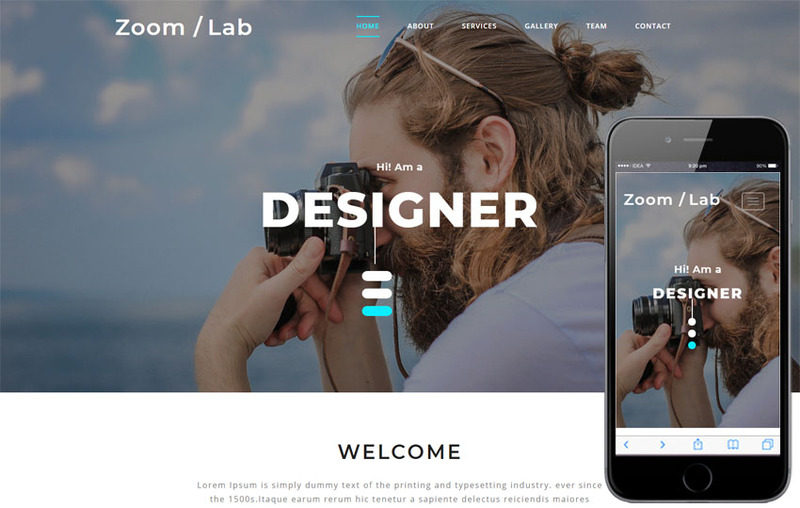 There is no doubt why you should not use our web template. All our temples are perfect to match the latest standards. Its very easy to edit and customize. 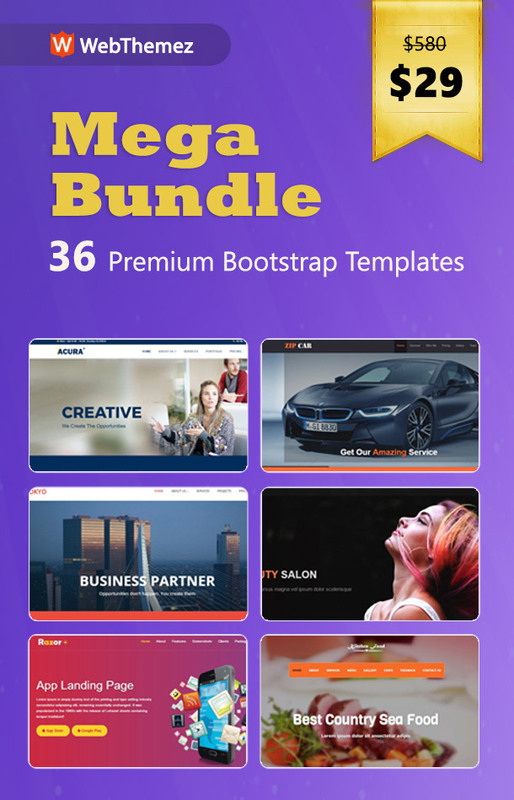 These templates comes with tons of pre-build HTML components. 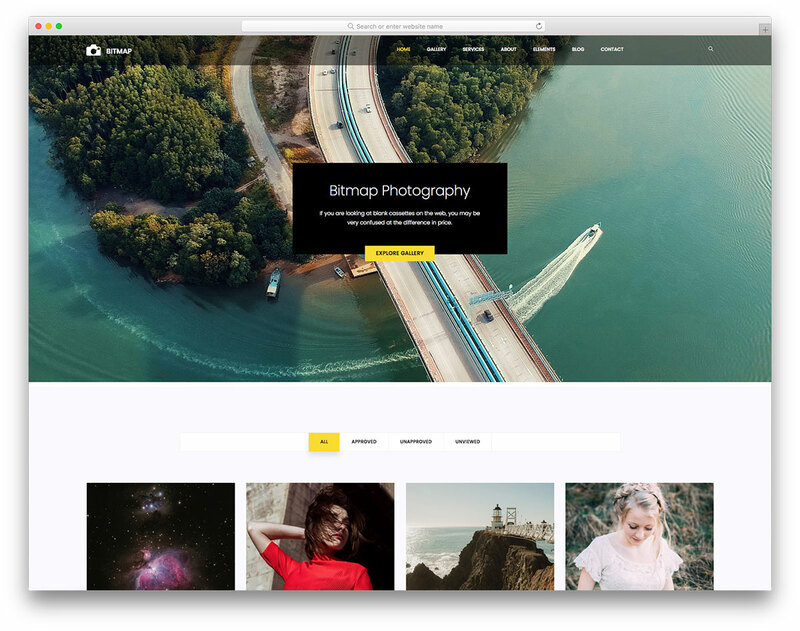 Therefor, all you need to select your favorite template from our impressive collection. So open the folder and edit the index file and update your content. 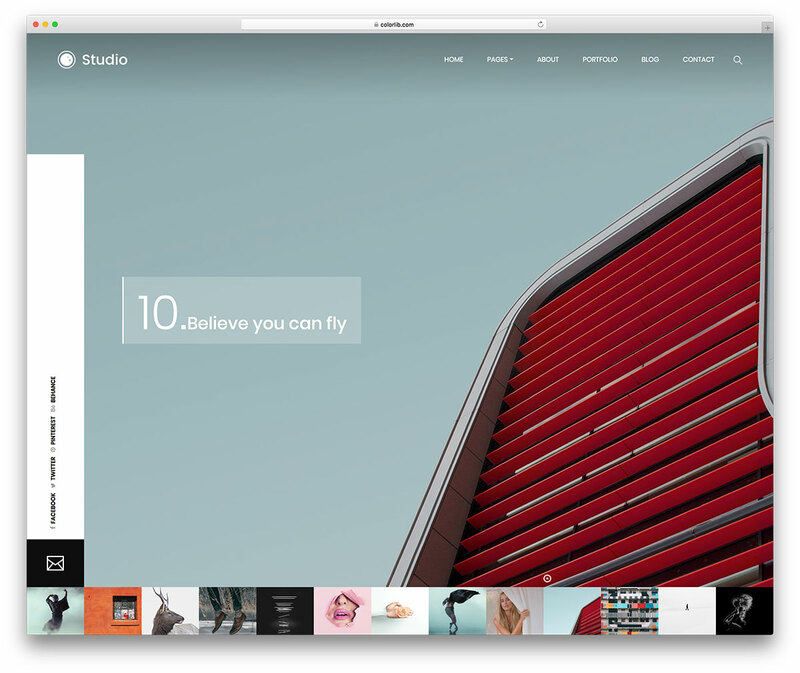 Its very simple to set up your updated site to host. Therefor, after your changes just take the solution and upload it to your hosting account via FTP tools like FileZilla or Coreftp. It is very simple to set up our templates. In conclusion, We recommend you to have a look at our impressive collection. 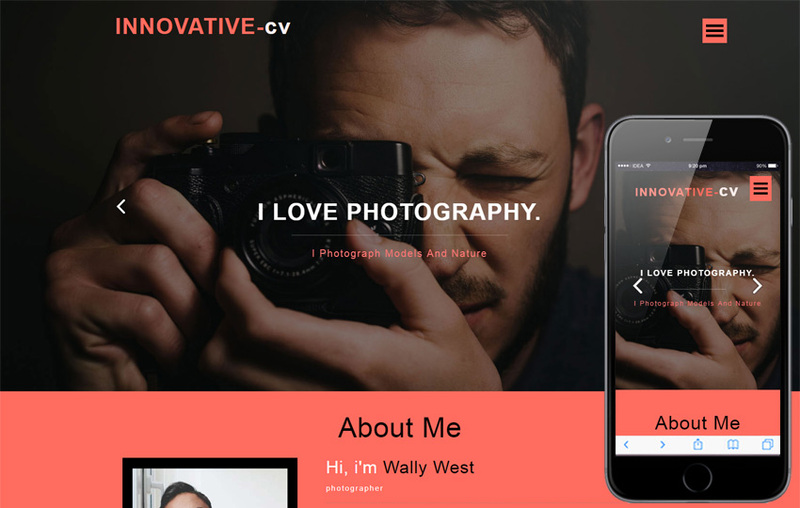 Therefore, select your favorite template for your professional startup. So why wait, start free Download now. Happy browsing! !